With the growing popularity of distance learning, an increasing number of business schools are offering online MBA programs. Once considered secondary to traditional campus-based courses, online MBAs are rapidly gaining credibility. Now, Birmingham Business School’s Online MBA has become the world’s first and only fully-online MBA to receive full AMBA accreditation. “We have re-defined the distance learning MBA for a 21st century market,” says Michael Shulver, designer and director of the Online MBA. 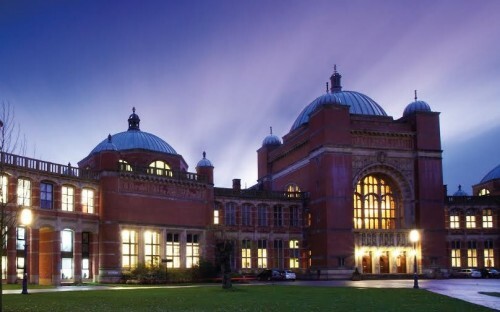 Birmingham Business School is ahead of the game in terms of digital innovation. Its Online MBA offers students a fully immersive, mobile-friendly learning experience, with interactive classrooms and real-time, real-life case studies. Its accreditation by the Association of MBAs (AMBA) confirms how a more affordable, flexible online MBA can offer the same high standard of education to people who want to combine study with work, and cannot commit to full-time education on campus. “The accreditation is testimony to our innovative program design and state-of-the-art online learning that benefits professionals worldwide, who would normally find it difficult to study at university full-time,” says Simon Collinson, dean of Birmingham Business School. According to GMAC’s 2015 prospective student survey, 12% of global MBA applicants consider online programs; 21% in the US; 15% in Africa. And since Birmingham Business School's Online MBA was launched in 2015, it has attracted students in more than 20 different countries. Andrew Lavin has spent 12 months studying the online course alongside a management role in Dubai.